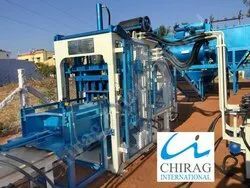 We are highly acknowledged organization engaged in presenting a remarkable range of CLC Brick Making Machine. Matching up with the requirements of our clients, we are involved in offering Rotary Brick Making Machine. roducts is our top priority and we ensure that quality is built at every stage from development through manufacturing to warehouse and shipping.